The market is heating up and here are 3 of our listings that just went pending! 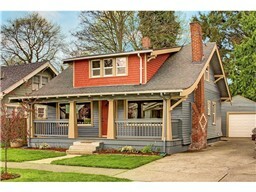 First up, a newly renovated house located in Tacoma. This property includes everything from a new roof and plumbing, to a kitchen with stainless steel appliances and granite counter tops. With all of these updates, this house is absolutely turnkey! For pictures on this great property, check out http://www.matrix.nwmls.com/DE.asp?ID=9235265114. 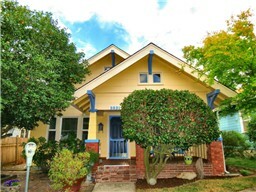 Another property that is pending is this Tacoma Craftsman charmer that can be seen here: http://www.matrix.nwmls.com/DE.asp?ID=9235286772. This property is located just off of Proctor St. is perfect for spending time outdoors. Whether entertaining guests on the spacious deck, relaxing on the balcony outside of the master bedroom or spending time in the manicured lawn, this home is great for enjoying the beautiful weather outside. One final property that is worth checking out is this great property in University Place. This property is so spacious that you could either use the downstairs for house guests, a home office or you could even rent it out for additional income! For more information on this listing, take a look at http://www.matrix.nwmls.com/DE.asp?ID=9235295750. If you are thinking about selling, now may be a great time to give us a call and see how we are selling homes in this market!